Life is too short to waste on sub-par snacks - no ifs, and or buts. 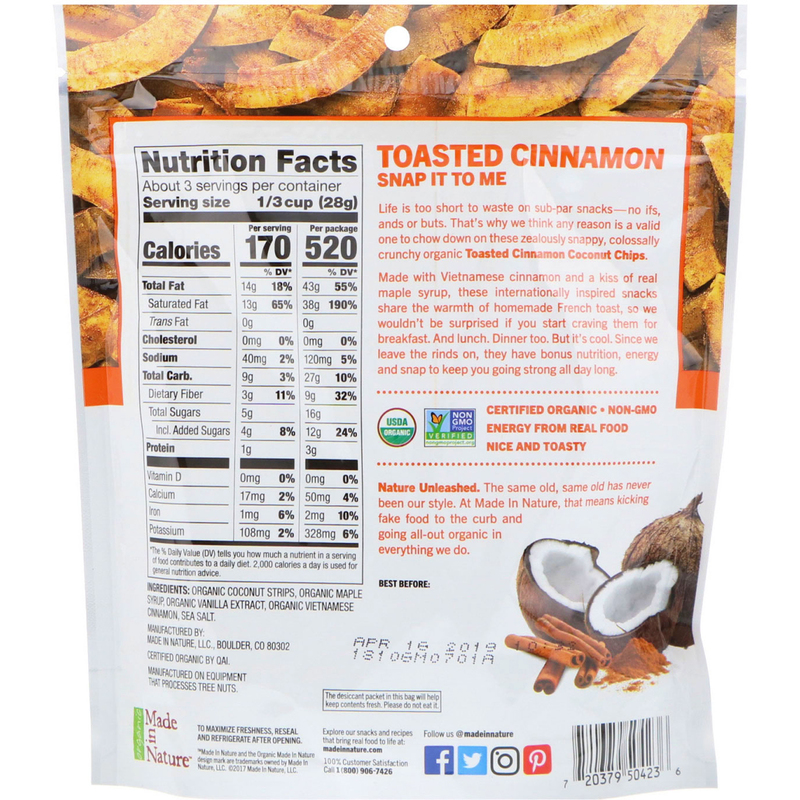 That's why we think and reason is a valid one to chow down on these zealously snappy, colossally crunchy organic Toasted Cinnamon Coconut Chips. Made with Vietnamese cinnamon and a kiss of real maple syrup, these internationally inspired snacks share the warmth of homemade French toast, so we wouldn't be surprised if you start craving them for breakfast. And lunch. Dinner too. But it's cool. Since we leave the rinds on, they have bonus nutrition, energy and snap to keep you going strong all day long. 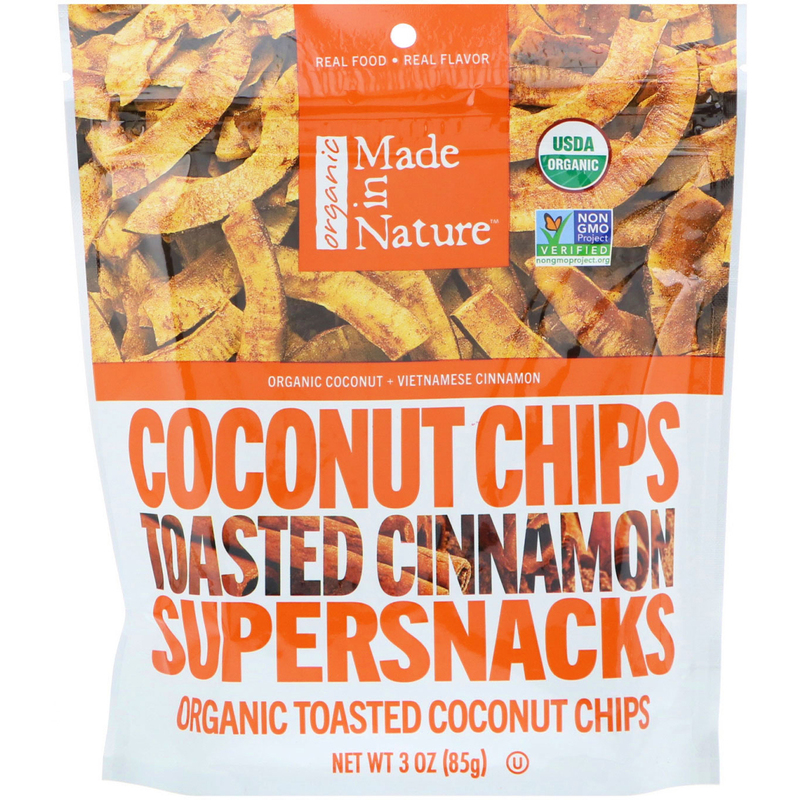 Organic coconut strips, organic maple syrup, organic vanilla extract, organic vietnamese cinnamon, sea salt.